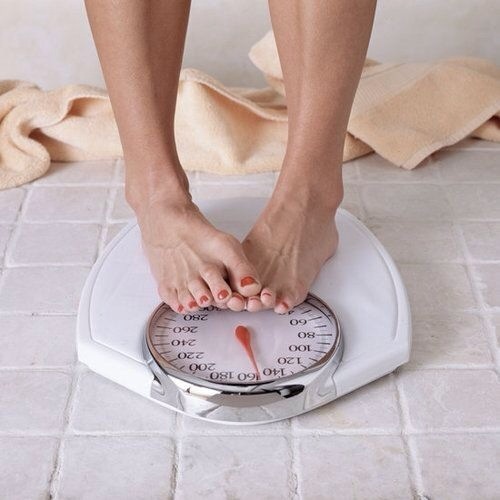 It’s so easy to be preoccupied with a scale. I recommend people take measurements. You may be losing fat and gaining muscle. Here are some reasons you may not be losing weight or fat. 1. You are eating more calories than you’re burning. If you don’t know how many calories you are consuming, it may be your issue. You may also be eating the wrong portions. 2. You’re not eating enough calories and your body is in starvation mode. Women need at least 1,200 calories and men 1,500. Your body will try to hold on to fat if it senses you’re starving. 3. You’re stressed out. Your body produces cortisol, a stress hormone when you’re under stress. Cortisol tells your body to store fat, especially in the abdomen. 4. Your eating too much sugar and salt. Even if your calories are within range, too much sugar and salt causes bloating. Your body will retain water. 5. You are not eating the right types of food. Food is fuel. If you’re eating junk food, you’re giving your body the wrong fuel. 6. You’re working too hard. If you’re limiting your food and working out too hard then you can convince your body to cease producing results. It’s over exertion. Challenge is good. Constant abuse of your body will backfire. 7. You are dehydrated. Water is your friend! Water cleanses toxins from your system and helps your organs function properly. 8. There’s no variety in your routine. If you do what you’ve always done, you will get diminished results. 9. You’re not resting or sleeping enough. Your body needs time to rest and recover. If you’re not sleeping, your results will be affected. 10. You have a hormonal problem. Talk to your doctor. If you’re doing all the right things and there are no results, you may have an underlying health condition. 11. You do not need to lose weight. The BMI charts don’t take into consideration bone mass or muscle mass. What’s healthy for your frame? Where is your extra or excess weight? If it’s in your abdomen area that’s not healthy. Talk to your doctor. 12. You’re not challenging your body. I was addicted to the elliptical machine. I would get on it and go for an hour. I did not lose fat. Then I started Ripped in 30. Only 30 minutes of exercise and in 30 days I saw major changes. Each week the routines changed. It was challenging in a good way. 13. You may have food allergies. Some food allergies cause problems with digestion of food. Gluten is one that can cause problems of absorption of nutrients and can cause swelling/digestive issues. 14. You’re not resistance training. Please consult with your doctor before lifting weights or doing resistance training. Know that muscle burns more calories than fat. 15. You’re a serial yo-yo dieter. If you’ve been off and on diets and/or diet pills, you’ve probably sabotaged your metabolism. Hope these tips helps you. Good luck on journey. Don’t give up!